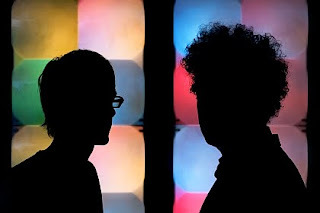 I'm not declaring Temporary Pleasure by Simian Mobile Disco one of my favorite albums of this year. While they continued to make dance music for people who hate dance music and packed the album with guest performers (Beth Dito, Gruff Rhys, Jamie Lidell), the album quite flat. Nonetheless, I had to make room for the one track that is worthy of attention. That exception is the single "Audacity of Huge." Featuring Chris Keating from Yeasayer (see Track #9), the song is lyrically one of the most fun things I've heard in some time. It's a clever glimpse into what we only could wish music from white rappers would be. "I got a bag of Bill Murray" may be the actor's second best cameo of the year.